Annie Lennox will attend this year’s Festival of Politics in Scotland to present The SING Campaign and speak about the HIV/AIDS pandemic. The HIV/AIDS pandemic is probably the greatest health threat faced by the world today. Nowhere is the impact of the disease more pronounced than in Southern Africa, where in countries such as South Africa it is estimated that over 10% of the population is living with HIV and one in three pregnant women carry the virus. 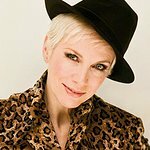 Annie Lennox is internationally renowned as a singer-songwriter but, through her SING project and work with Nelson Mandela's 46664 Foundation, she has also become a leading activist in the fight against HIV/AIDS. Join her as she talks about her personal experience of the disease in Africa, and the action that we can all take in fighting the pandemic.